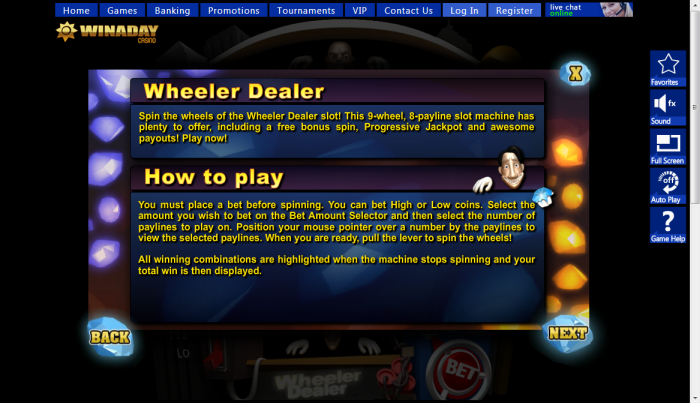 Overview: The Wheeler Dealer slot game is one of Win A Day Casino's oldest instant play casino games. 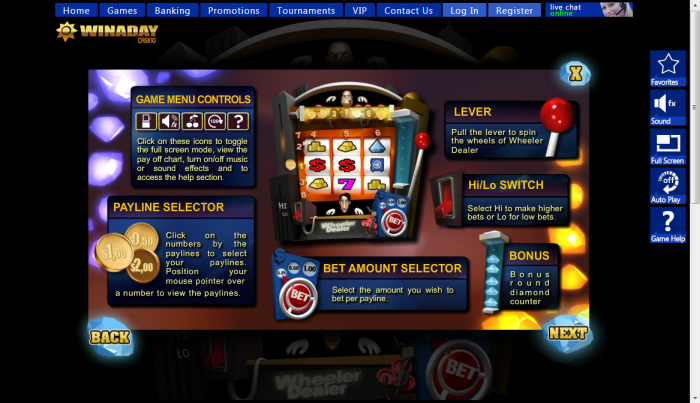 It is an 8-payline, 9-reel progressive slot game, where the jackpot starts at $50,000. The maximum bet you can place per line is $4. 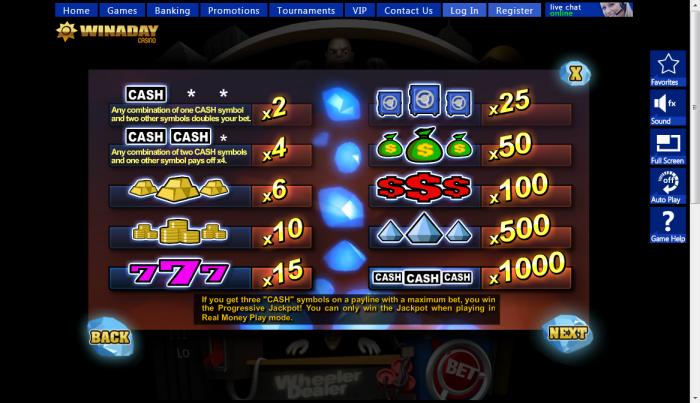 The progressive jackpot can be won by getting three Cash icons with you maximum bet. 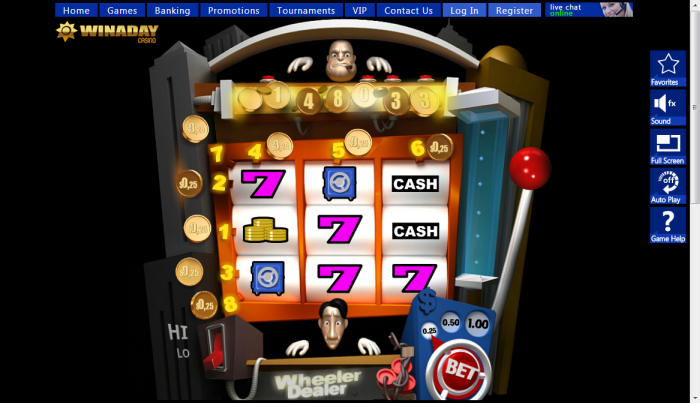 The game features a theme based around a wicked banker and the kind and help bank teller and has graphics and sound effects to match this gameplay. 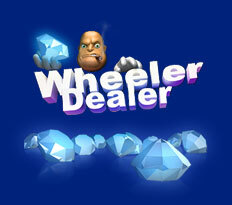 Wheeler Dealer is one of the most interesting slot games for slots fans. 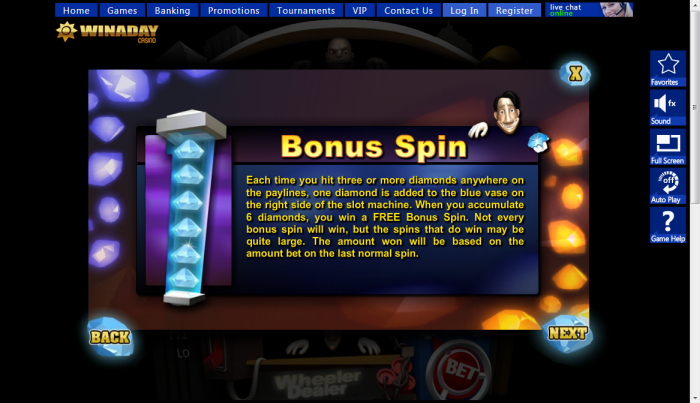 The free spin round on the Wheeler Dealer slot game can be triggered by lighting up a diamond beside the reels, each time you spot at least three diamonds on your screen. Similar Slots: If you like Wheeler Dealer, you might like these other slot machines from Win A Day Casino: Dollar Storm, Gold Boom, Vikings, Wild Alaska.